Without proper ventilating, a home would be an unhealthy living environment. The design and architect of a home help promote safety, health and pleasant living conditions. Proper roof venting is vital for the life of a homeowner’s roof. A poorly vented roof can create a series of health concerns and health risks especially for homeowners who suffer with asthma and severe allergies. Poor roof venting can result in moisture being trapped which can then result in the growth of mold, mildew and other health hazards. Poor roof venting can also promote a financial hazard. During tough economical times, the need for pinching penny’s have increased, resulting in most trying to find alternatives to living more cost effective. A poorly ventilated roof can be costly as the heat and moisture trapped in the roof forces the rise of energy cost. Over time, the combination of the trapped moisture and heat can cause leaking or water spots to form on the ceiling resulting in more money being spent on home repairs. 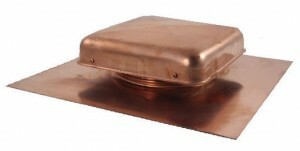 With their wide variety of roof ventilation products, FAMCO is the place to go for all your roof venting needs.